One of the harshest and most isolated islands in the world South Georgia is stunning to behold. Most of the island is covered with jagged mountains and treacherous glaciers. However, close to the sea there are sheltered valleys and bays which provide a habitat for a wide array of wildlife. 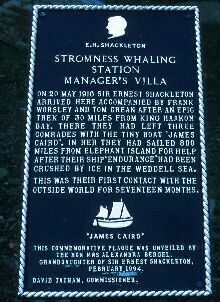 One such valley contains the now abandoned whaling station of Stromness. 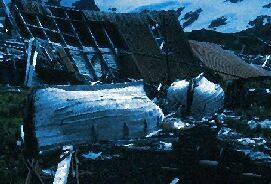 This whaling station operated with many other on the island right up until the 1960's when whaling was finally banned. In the intervening thirty years nature has gradually reclaimed the old buildings, with the elephant seals particularly enjoying the shelter afforded by the old tin sheds. 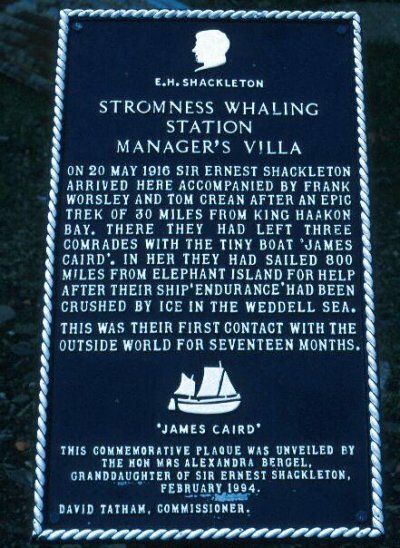 When whaling first began at Stromness whales were so common that it was two years before the whalers needed to hunt away from the island itself. Now, despite the ongoing ban, great whales are still a comparitively rare sight and we can only hope that the populations of many species haven't been pushed too far. The now abandoned whaling stations of South Georgia are like small towns, each having it's own tool shops, accomodation and warehouses. The remoteness of South Georgia meant that nearly everything from screws to boat engines had to be built or repaired on-site. Today you can still find rooms full of nuts and bolts, all sorted into size and shape for quick access. 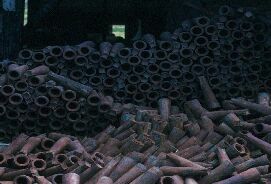 The warehouses contain boxes of old machine parts, huge lengths of rope and thousands of harpoon heads. The harpoon heads shown in the picture were attached to two metre long shafts and loaded with explosive charges - all too effective. In the shelter afforded by the coastal valleys of South Georgia pockets of lush plant life have been able to grow. In fact, once you get out of the almost incessant wind, it can get warm enough to wear only t-shirt (well, for a few minutes anyway!). 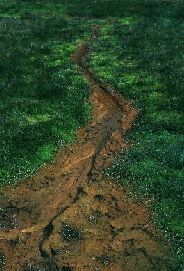 The colour of the stream is a result of sheets of algae growing along it's margins. With a plentiful supply of 'fertilizer' from the seals and penguins such algae can grow very quickly during the short lived summer. In more exposed areas few plants can survive, with only small algae and lichens occasionally able to grow. The journey of Sir Ernest Shackleton and his men really brings it home how tough those old explorers must have been. Even today few people have successfully traversed the mountains of South Gerogia. If you combine this with a crossing of the Southern Ocean in an adapted lifeboat you realise these men were something special. Click on the image to enlarge and read. You will find many pictures of the wildlife of South Georgia in the Penguin and Seal pages. Look out for the pictures of seals which have now taken up residence in the old whaling station.